We are officially in full Autumn swing my loves. Are you loving it or maybe even loathing it? One thing we can all agree on is that Autumn fashion is so much fun and the perfect Autumn accessories are a must. The only problem I find is buying from High street stores means you end up wearing the same jewellery as everyone else. If you’re like me you want unique and varied accessories chooses. Not the same as everyone else so where do you go? Jouellerie are an online jewellery boutique that offer affordable and super stylish jewellery. Perfect to quench your thirst for accessories. Not only do they fulfil your accessory needs but they also a range of gifts, fragrances and fashion to choose from. Who doesn’t love a good variety of accessories to choose from right? I particularly love the huge selection of jewellery the have in particular. Rings have to be one of the best Autumn accessories. They can add sparkle and glam to any outfit. Plus with long sleeves creeping in it may be your only jewellery accessories on display. Joullerie were kind enough to send me this stunning amethyst ring and I was blown away. The central rectangle amethyst is just the most gorgeous shade of purple. The size is massive but not tacky it has so mich class about it. Set amongst the most amazing setting of Swarovski Zirconia crystals. Including an intricate, delicate and beautiful design on the inlay of the silver. The attention to detail that has gone on this ring has not been wasted on me. You can see how well it was designed and it really makes for a unique but eye catching ring. At an rrp of only £19 it has an appearance of a much more exspensive ring, no question. It is simply stunning and the second I slipped it on I felt like Beyonce. The only problem I had is sizing. Now, I have tiny fingers so I know rings don’t tend to fit me. For example. I would have needed a I or a J sized ring. I chose the small and it was a little loose but as I said this is my tiny trump hand problem and not Joullerie. From gorgeous rings, stunning necklaces, beautiful gifts and more amazing accessories. You really can’t go wrong with all they have to offer and the amazing prices attached to them. Perfect for birthdays, Christmas on the way or just as a treat for yourself or a loved one. No one will be disappointed that’s for sure. I will 100% be checking out some of their sparkles for the Christmas period as who doesn’t love some bling for Christmas. It’s a Christmas fashion mist have. Plus when it’s this affordable why not right? If you’re looking for that perfect jewellery gift. The Perfect gift for your partner or friend. Need that statement piece for the event you’re attending. Great pieces for everyday wear and the list really does go on. 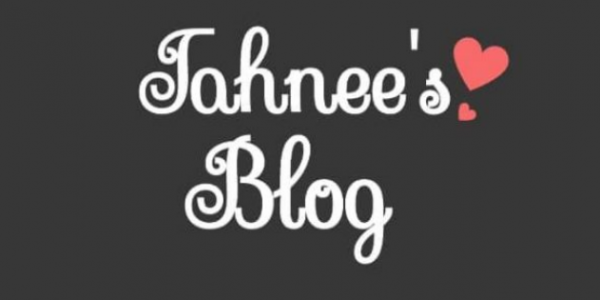 If you want to keep up to date with all things Tahnee’s Blog. Be it fashion inspiration, parenting ideas or just a bit of fun be sure to come say hi on my social media. I love talking to you all over there so come.and say hi.